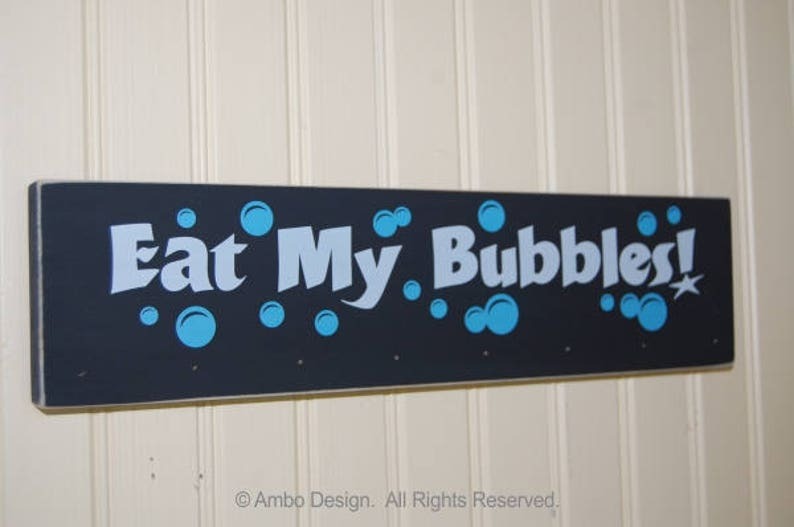 Who doesn't want to say "Eat My Bubbles!" Solid pine wood plaque with hooks for hanging medals, ribbons & awards. DESIGN NOTE: Be sure to specify colors upon check out or they will be painted as shown. For changes to font colors and/or name additions/subtractions, please type them in the notes area available during checkout. If nothing is specified we will use our best judgement on color sets. I modified the colors and the end result is adorable! Turn-around time was quick and it was easy to add the hooks. It's perfect!